You have decided to take up running. It helps us to lose weight, it helps our long term health, and there are a lot of other running benefits including that famous runner’s high we hear others talking about. Soon after you go for a run, you wonder why running is so hard, why other runners enjoy running when you are struggling to breathe on a run, and are there any ways to improve running speed quickly? Don’t worry, we had those same worries too, and there are always ways to increase your running speed and move your legs faster, no matter how experienced of a runner you are. Competitive running, be it against yourself or against others, is essentially about getting from A to B in as short a time as possible. Travel further with each step, i.e. increase step length. At this point, shorter runners will probably be looking at option 1 and thinking, “Yep, that’s where I can shine!” whilst the taller of you will smile at option 2 in the thought that being lanky does have its advantages! And yet, in reality, research suggests that the secret of covering more ground in less time boils down to an ability to excel in both options. We looked at whether your stride frequency is limited by your height, and found that height and leg length are not the main reason for your natural stride frequency. 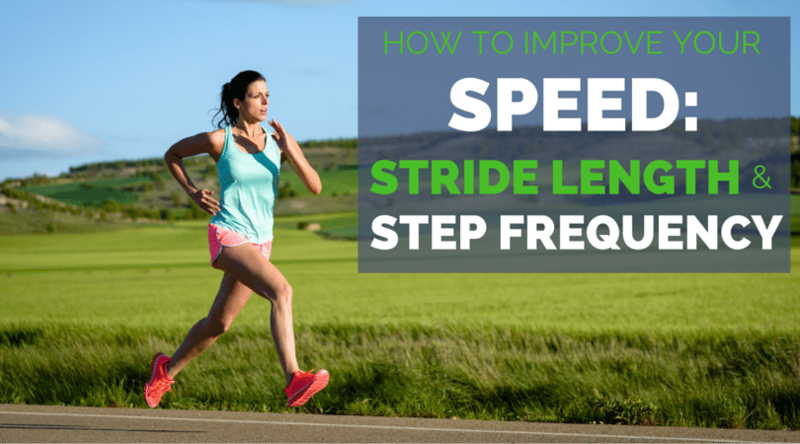 What is Step Frequency and Running Stride Length? Before we continue, I feel it may be useful to point out a little clarification regarding terminology. Though in practice you will see the words “step” and “stride” used interchangeably (e.g. stride frequency and stride length), technically speaking they are different. A stride incorporates two steps, the left and the right. Stride length is therefore actually double the step length (assuming the left step is more or less the same as the right step). In other words, stride length is the distance covered between initial contact (IC) of one foot and the consecutive IC of that same foot. Step length, on the other hand, is the distance covered between IC of one foot and IC of the opposite foot, i.e. half. You will take twice as many steps per minute as strides, so stride frequency will be half that of step frequency. It’s not a biggie as in literature you will commonly see the two words used interchangeably, but next time you do see Usain Bolt being quoted as running the 100m in 41 strides with a stride length (SL) of 2.44m and a stride frequency (SF) of 256spm, you will now know the “strides” they refer to are actually “steps”. “Move your legs faster” sounds an obvious way of increasing speed but it is in fact a skill that requires not only increased aerobic capacity, but also progressive neuromuscular training and more often than not modifications to your running form. The speed your legs move is measured in number of steps per minute (spm), often referred to as cadence. The average recreational runner has a cadence of about 150-170spm, with variance due to factors such as individual height, level of general fitness, hip strength, running form, speed, etc. As we saw in the article Heel Striking, Overstriding and Cadence, research shows that elite runners at race pace also vary in their cadence, but they are always in excess of 180spm. Though this does not mean you should directly go out and try running in excess of 180spm, being aware of your current cadence and experimenting with runs at a 5% increase may well be worth considering. To determine your own cadence, simply count the number of times your left foot hits the ground whilst running for 30 seconds. Let’s imagine yours turned out to be 40. Your cadence (for that particular running speed) is therefore 160spm. For more information on such, see the aforementioned article. When one suggests increasing step length, the immediate thought is to try and reach further in front of you. After all, that is what you would do if you were walking. The problem with doing this when running is two fold. Firstly, landing your foot way out in front of your body (centre of mass) can in effect act as a brake with every step you take, especially if you are landing on a locked knee and heel. This is where all the fuss about heel striking stems from, even though the issue is not that you are landing on your heel but the fact you are jamming your leg out in front of you and decelerating each step. 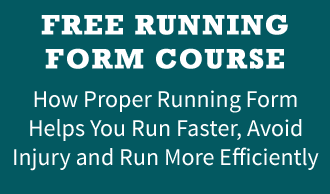 Given that we are looking at ways to help you run faster, this is obviously not a great idea. The second problem is to do with injury. Though the exact mechanism is as yet unknown, there does seem to be a correlation with the above and picking up lower limb injury. It may be something to with efficiency of load absorption and transference, and is very likely dependent on the individual, but if you are over striding and suffering from injury it may well be an area to address. So, if reaching out in front of you is not the best way to increase step length, how about increasing the distance your leg travels behind you before leaving the ground? How far your leg gets behind you is a product of hip extension, which we looked at in the article, The Importance of Hip Extension. Though inflexibility in the hip flexors (front of the hip) is often blamed for limiting hip extension in running, in actual fact the maximum angle of 10-12o is not that hard to achieve, so it could be argued that for most runners, limited hip extension is not an issue. Greg Lehman, a specialist in Running Injury/Biomechanics, has a detailed look in his article here. In practice, elite athletes do not have greater hip extension. Their incredible step length comes from the ground they manage to cover whilst both feet are off the floor, also known as flight time. This is a product of the power they manage to generate pre-take off, bearing in mind we are talking about forward propulsion and not vertical propulsion. Download your FREE Hip Strengthening Exercises Guide inside your Insider Members area. Download a video and PDF version of the 5 most effective hip exercises for runners. You’ll get more images, full descriptions on how to perform and a video to show you how to strengthen your glutes so you too, can power your running stride like an elite. In his excellent article Understanding Stride Rate and Stride Length, coach Steve Magness considers a study done by Enomoto et al. in 2008 which included a look at the stride (step) length and stride (step) frequency of the 3 medallists in the 10,000m at the 2007 World Championships of Athletics. The runners were Kenenisa Bekele (1st), Sileshi Sihine (2nd) and Martin Mathathi (3rd). Sihine’s had a higher step frequency than Bekele but a lower step length. Mathathi had the highest step frequency of all three runners, but the shortest stride length. Bekele went from having the lowest stride frequency (190spm) to having the highest at 216spm, and did not lose hardly any step length whatsoever. The resulting increase in speed won him the race. Sihine managed to increase his moderate step frequency, and in the last lap also managed to significantly increase his step length. The overall increase in speed was enough to bring him 2nd place. Mathathi managed to increase his shorter step length but in doing so lost some of his high step frequency. As a result his speed stayed more or less the same and for that reason he came in 3rd. As Magness points out, the most important thing to take away from this study is that all three medallists sustained and increased their speed using distinct, individual methods. At Runners Connect we cannot stress enough how important it is to recognise that all runners are individuals with unique strengths and weaknesses, physical and mental attributes, physiological response to exercise, etc. The elites succeed by developing a running form that suits their unique characteristics, and so should we. Make a note of what works for others and how they got they got there, by all means try it yourself, but never expect a one-size-fits all solution based on the success of another runner/s. For mere mortals like ourselves, the study serves as a reminder of the relevance of both step rate and step length in maintaining and increasing speed. Being aware of our performance for each may open the door to pin pointing where we should be directing our efforts. If we discover that our step length is low, that could be a sign that we need to do more strength/power work. If we notice our step frequency (cadence) is low, maybe some cadence/neuromuscular work are called for. Bekele excels in being able to sustain an impressive stride length, but when the moment comes he can also increase his step rate by some 16spm. The implications for running coaches could be many. But remember, the goal of cadence training is to gradually optimize your unique step length and step frequency, not imitate someone else’s. Introducing a few 20 second intervals into your long runs (at a cadence just 5-10% higher than your natural cadence at that pace) is often enough at first, noting that your body will not feel particularly efficient during these 20 seconds. And do ensure you remain at the same pace during these 20 seconds as there will be a temptation to maintain an increased cadence by simply speeding up. Through gradually increasing the length of the cadence intervals, the idea is your natural cadence will increase as your running form develops. But do not look for magic bullets. You will still need the hill work, interval training and strength conditioning (including plyometric exercise) to support natural development of step length and step frequency. Thank you. This is really valuable and can lead to some actionable dicision making about how I shoud train. Great article! Hey Blay, thanks for the comment, glad you have got something out of it! “Actionable” is a great word for runners. Too many people doing the same thing day in day out and then wondering why nothing is changing! I returned to running in March 2013 following a few months off with serious MTSS. There were two keys to my programme, guided by an outstanding physio. First, slow build up. In practice this meant 30 seconds running followed by 4:30 walking repeated for 30 mins, repeated every other day for 8 days. Then 1:00 running, 4:00 walking repeated for 30 mins, repeated every other day for 8 days. You get the picture! A VERY gradual return to running over many weeks before running 30 mins straight. Second, throughout above process, my running was guided by metronome. How I struggled to achieve 176 cadence!! I felt like I looked like an idiot (big deal) and that I was taking tiny strides like a Geisha! But also I found that – despite having been a half marathon runner prior to my injury – I found it incredibly challenging (from cardio vascular perspective) to maintain a “high” cadence for any period of time. No doubt the very slow gradual return to a full 30 mins of running enabled me to build not only my muscular leg strength but also my CV fitness at the same time so I could sustain the high cadence. So the two pronged attack helped me build strength slowly to protect from injury and also helped me build CV fitness to maintain a high cadence to protect from injury. Long story. Point being that a shorted stride has helped me remain injury free. Now running longer, stronger, faster then before. I don’t have any controls, since I’ve also changed footwear, etc., but I know that – for me – the shortened stride/higher cadence has been crucial. I suspect I’m off topic but I’ve been reflecting on this for a while and submit that the two pronged approach described above has huge merit. If you are patient enough to stick with it! Hey Graham. Great story, thanks for sharing! Must have taken a lot of patience to ease yourself back in so carefully, full credit to you and your physio! Out of interest, what made you choose 176spm as a target? Do you know what cadence range your body was happy to run at before you started to try and increase it? Also, I’m curious to know if your pace (for whatever distance) has changed since increasing your cadence and whether you are now able to unconsciously maintain an elevated cadence without the use of the metronome? I was running at around 160 spm at the beginning of 2013 and was training for a half. In mid training, I learned about the benefits of mid foot versus heel first running. The article mentioned that a cadence of 90 (or 180 spm) would facilitate learning to touch down mid foot. I thought about using a metronome but I love to listen to music while I run. So I got this app (AudioStep) for my iPhone, that lets you speed up your songs to any arbitrary number. I increased my step count gradually from 160 to 180. I have been injury free now for 6 month (since I changed to 180 spm) and ran PB in all four races I did in that time. What a difference the right cadence makes! 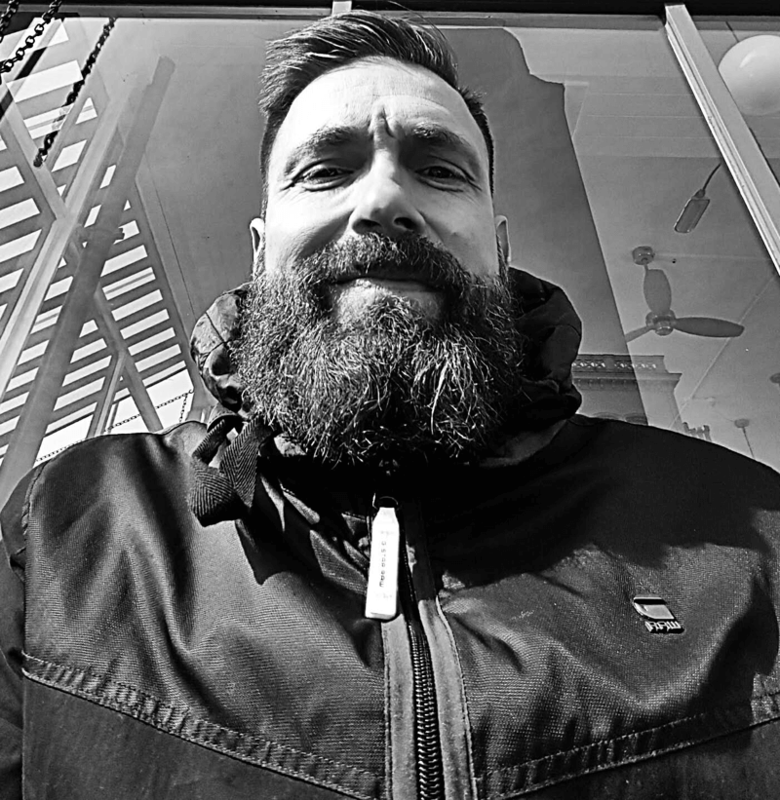 Over the past 10 weeks of base training for an upcoming marathon, I decided to try something different and intentionally increase my stride rate from 170 to 180. I realize that doesn’t sound like a big difference, but I’ve seen great results in both my normal run pace (7:30min/mi to 7min/mi) and my tempo runs (6:45min/mi to 6:15min/mi). My question is about the apparent contradiction in the article above. Early on it says that “experimenting with runs at a 5% increase may well be worth considering” whereas near the end it says “Trying to continuously modify [stride rate] whilst running is never a good idea as any changes you do achieve will remain the isolated product of conscious effort”. I realize what the latter point is trying to make, but then is my effort over the past 10 weeks void since I’ll always need to be consious of maintaining the increased stride rate? At some point, won’t it become my new normal rate?? Thanks! Hey Jacob! Many thanks for the comment. There was indeed a slight contradiction in this article which I have now removed by updating. As long as the conscious efforts to increase cadence are gradual in nature (your 170spm to 180spm sounds perfect!) and supported by suitable strength & conditioning, we can expect in 4-6 weeks behavioural changes on an unconscious level. Hi – just curious on what your insights are on whether cadence can ever be too fast. My cadence on easy runs is about 190-195, and speeds up to 200+ for workouts. Hi Cristina, it is better to have a higher cadence than a lower cadence. This post may also help you feel a little better about your higher cadence. Yours is not abnormally high, so you probably do not need to worry https://runnersconnect.net/running-training-articles/running-cadence-injury/ Hope this helps! I would like to share something about my running cadence too. I am short height runner. I have an cadence of 180-185 during my easy runs. And a little higher 187-192 in a faster run. My stride length is also considerably small compared to other runners in general. And everyone also point that out while they run with me. Although I feel good about my short-step running style. Something, which concerns me is if I should work increasing my stride length as that is unusually small. I have tried that in practice but feels uncomfortable and not natural. Hopefully this helps. Let us know if you were looking for something different! My Avg Cadence during interval, tempo or Long slow runs vary between 174 to 178. If I am conscious, I can increase my cadence upto 182. My Stride length varies between 1.35 to 1.48meters. My best FM pace is around 3h 16mins. Unbelievable that Bekele could increase his cadence from 190 to 216. Any tips on how to increase the Cadence? Thanks in advance. Hi Bobby. Thanks for the comment! Bear in mind the cadence of Bekele & co. is also a reflection of the speed they run at. You may not need to change yours. Just keep training hard & you may find it increases naturally as your pace does. If you do want to experiment with cadence interval training, using an app on your phone (plenty available these days) can be an easy way. Remember, 20-30 second bursts at your cadence + 5% is all you should do. It’ll feel less economical at first but over time (4-6 weeks) may start happening without conscious effort. Let us know how it goes!